Are you looking to improve your knowledge of slavery in America within a non-academic setting? 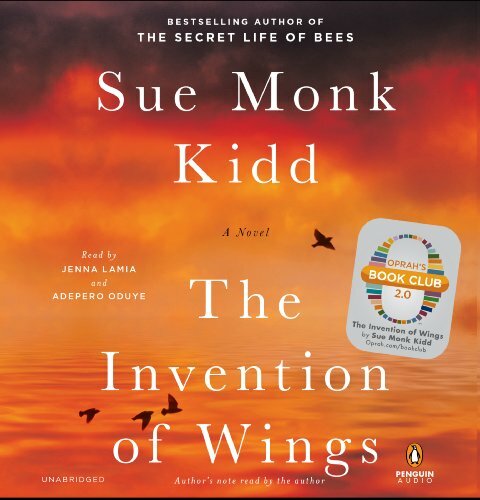 Sue Monk Kidd's latest novel, The Invention of Wings, offers just that with detailed depictions of the South and North during the early 19th century. Find out who would like this novel and why it is a worthwhile read with the help of this companion review. Kidd has selected two real women from America's history and fictionalized them as protagonists in her third novel. Sarah Grimke comes from a wealthy white family and struggles with the justifications of slavery from a young age. 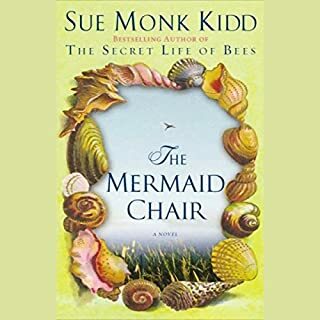 Writing at the height of her narrative and imaginative gifts, Sue Monk Kidd presents a masterpiece of hope, daring, the quest for freedom, and the desire to have a voice in the world - and it is now the newest Oprah’s Book Club 2.0 selection. The Invention of Wings is written in two voices. The first - Sarah Grimke, daughter of a wealthy judge and plantation owner in Charleston, North Carolina. Sarah and her sister Angelina are directly from history, well known as early abolitionists and women's right activists... you can easily read about them on the internet, but don't until you finish the book. The second voice - "Handful" or Hettie, the 9 year old slave girl who is given to Sarah for her 11th birthday present. The book follows both girls... for 35 years... as Hettie's mostly fictional life is stitched alongside Sarah's mostly factual life. The two voices compare and contrast in a patchwork I found beautiful. The audio is really good, but I have to tell you after listening to "The Help" so many times Jenna's voice would occasionally break the spell and I would see "Skeeter" in my mind instead of Sarah. At the end Sue Monk Kidd explains her research, what parts are historically accurate and where she has taken liberties... made it even more meaningful. A life quilt is pieced during the book by Hettie's mother, but I can picture the book itself as a quilted story... of reaching, losing, dreaming and becoming. Maybe it's unfair to rate this after just having finished, "Twelve Years a Slave". I found this book formulaic and forced. Alternating narrators told the side of Hettie, a young slave girl, clever and quick, and superbly performed. She deserves four stars, but split the difference with the narrator for Sara, privileged Charleston girl who sounds as if she is constantly suffering from the vapors. Hettie and the story of her intelligent, cunning, talented mother give the first part of the book life. The credit spent was worth it for her story. The last 2/3 mingle Hettie's trials and Sara's arrogant journey. I couldn't wait for her to stop talking so I could hear from Hettie. The girls' friendship never felt authentic or touching, yet forced and when they meet up again at the end, it feels too contrived. Finding out this was based on a true story surprised me, but did not change my overall opinion of the writing. Perhaps my expectations were too high. This was no "12 Years a Slave" nor was it "The Secret Life of Bees". Try the book, "Wench" for a grittier, heart-wrenching tale of friendship and camaraderie during the ugly times of slavery. Breathtaking story. Sue Monk Kid has matched "The Secret Life of Bees" and I didn't think that was possible. This is a wonderful story, based on the life of the Grimke sisters of Charlotte, NC who were pioneers in the abolitionist and women's suffrage movement. At the end of the novel, Sue Monk Kidd spends a few minutes telling us how this novel developed and helping us understand what parts were historical and what parts were invented by her. The narrations of the two main characters - Sarah Grimke and Handful, the slave - by Jenna Lamia and Adepero Oduye were extremely well done. They managed the tone and rhythm of each voice beautifully, along with the other characters in the novel. 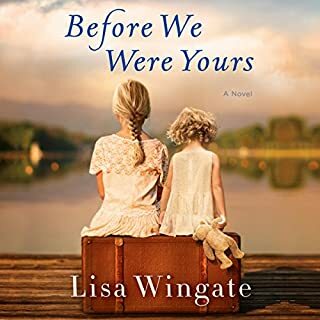 The story encompasses about 35 years of the lives of these two women, beginning when they were about 11 and following each of their parallel paths through some trying and, in some cases, harrowing times. Each is enslaved in a different way and the battles they must fight and the sacrifices they must make are sometimes difficult to reconcile with the idealized history of the USA that is often fed to us these days. Slavery was a terrible institution, backed by the mainline churches, enabled by financial and political institutions and supported by lies and more lies about what it really was like. The story also lays bare the helplessness of women at this time and the degree to which they too were enslaved, albeit often in velvet-lined cages that made it very difficult to escape. And if they tried, even the most ardent of male abolitionists often didn't want the womens' voices heard or their situation addressed. Kidd gave her characters depth and bredth, flaws and errors, but you really care about them. 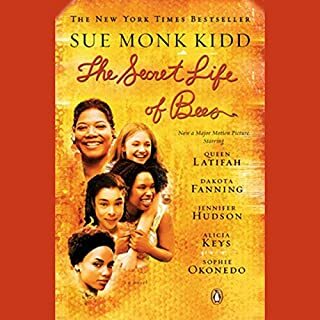 I was hesitant to listen to this book because I have read so many books exploring the tragedies of slavery and I needed something uplifting but because I enjoyed Sue Monk Kidd's, "The Life Of Bees", I gave it a try. I was so glad I did. 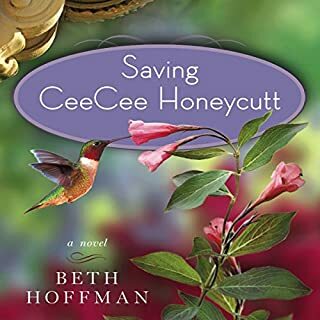 This book is rich in history, partiularly women's history, offering the reader a chance to be proud of the efforts made by some of the Southern women daring to work on the cause of freeing the slaves. 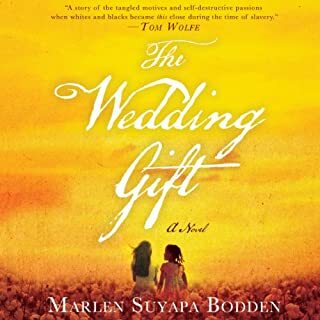 Beyond the history of this book, the story line is gripping, insightful and beautifully written using prose that concisely carries the reader into the world of the characters and helps explore the depth of sadness of the slaves' lives while also exploring the complex relationships between the two races of women who lived side-by-side. I listened to this book while out walking and found myself adding miles to my walk so that I could stay in the beauty of the pages. At the end of this well done narration, Sue Monk Kidd speaks about the history of her writing this book and of the characters involved. Beautifully Done. First of all, I tried not to read anything about this book before I began to listen. I really wanted the experience to be my own, free from the opinions of others. If I was going to love it or hate it, I wanted to do so for my own reasons. I hope others will have the same opportunity, but I doubt it. This is going to be THE book club book of 2014. It will be like "The Help." I hope that doesn't cause anyone to shy away from this phenomenal book because they will be missing out on something really important. I didn't know anything about Sarah Grimke before I began this book. Kidd not only shines a bright light on a significant part of history, but she makes that history interesting and accessible by making Sarah real. I think it's an extraordinary achievement for an author. Good books have a magical way of making me think through all kinds of questions. This one is no exception - but the kinds of questions it raises are different. I kept picturing myself in their shoes. Had I lived in the early half of the 1800s, would I have demonstrated the strength of will that defined Sarah and Angelina? I doubt it. How in the world did these women have such a complete understanding of freedom and equality - and would I have had the same understanding? I doubt it. Who are the other Sarah Grimkes - the women who fought for things we today take for granted? And why have we not heard of them? Who is today's Sarah and what is she fighting for? I can't wait to find out. You know she's out there. Change is inevitable and it doesn't happen without brave women. Sue Monk Kidd has earned a place on the shelf next to Barbara Kingsolver. From me, that's high praise, indeed. Perhaps I expected too much after seeing the many five-star reviews. I liked this book but did not love it. Somehow I wanted more. More depth, more from Sarah, more of the relationship between Sarah and Handful. Perhaps because this is based on the lives of two real life sisters, the author did not want to presume or invent too much. For whatever reason, I was a little disappointed. I did love the narration of Adepero Oduye. I felt she portrayed "Handful" with just the right touch. I enjoyed reading The Invention of Wings for two reasons. First, it was a good story. Second, when I realized it was based on the true story of the Grimke sisters, I appreciated it even more. As real characters, the Grimke sisters in this book were fascinating to me because they gave me a way to imagine how two women of the early 1800’s in Charleston could become such rebels! They became abolitionists, which was radical enough, but they also were some of the very early feminists. That part was fascinating to me. I liked the structure of the book: the way it went back and forth between the point of view of Sarah, one of the Grimke sisters, and then the point of view of one of the slaves, Hetty. I thought the writing was serviceable, but it was more the story and the history that stood out in my mind. This book is historical fiction done to perfection. 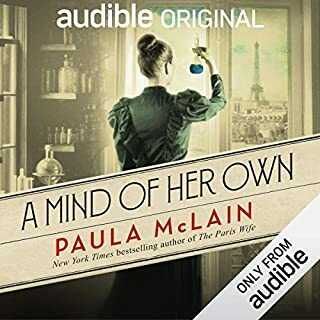 I enjoyed listening to it immensely and when I wasn't listening, the two narrator's voices seemed to remain in my head, particularly that of Hetty, Sarah Grimke's personal slave. I loved the way the personalities of the two developed slowly but surely into their adult selves. I did not favor one narration over the other--both were integral to the story and equally well done. This book evoked a great deal of emotion for me. I felt for both main characters who were struggling at just existing, in a time and place that was not accommodating to either one--to women and slaves alike. I am in no way making light of Hetty's predicament, which really cannot be compared in scope to that of Sarah's. It was painful to imagine what life was like for a slave in those times, and sometimes I listened with a tear in my eyes and a shutter in my heart. It was a brutal and ugly time for which this country must remain ashamed and regretful. The ending left me feeling hopeful for both women and missing their voices and stories. After the book ended, the author spoke at length as to the reality and fiction of her book and why she chose to portray both characters as she did. She discussed some of her research efforts and gave references for further reading about the Grimke sisters. This was a wonderful listening experience for me--I highly recommend it. This is a lovely story - If you like feeling helpless, frustrated and terribly saddened by what was likely a relatively standard set of occurrences for slave women during the pre-Abolition era. Based very loosely on a couple of real historical figures, the real heroes are Hetty and Charlotte, the fictional characters who just want to be treated like human beings and experience a normal life, but skin color, geography and convention of the times make that tragically impossible. The deaths of a few characters (I don't want to give anything away, so pardon the lack of detail), will leave you teary eyed, if not outright crying. The writing is artistic and beautiful and the narration from the two separate perspectives make me so glad that I downloaded the audio version instead of the printed one.